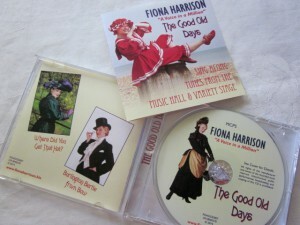 My CD Launch, Off to Leeds and Onto the Isle of Wight! To say I’ve been a little bit busy these last few months has to be something of an understatment to say the least. I have been working flat-out here at Harrison HQ and I’m now starting to see the fruits of my labour which is very rewarding. I picked up my new album today from the CD duplicator and I have to say I’m really pleased with it. Needless to say we had a few desarters along the way but nothing I couldn’t sort so I’m now looking forward to launching it in the Isle of Wight this weekend. I’ve already sold a couple of copies and the response I’ve had has been very positive. This is my seventh album and it’s hard to belive that I recorded my first album 20 years ago in 1994 at a studio in Blackpool. Gosh where does the time go to! What I’ve learnt about show biz and singing in those 20 years is priceless. It is true what they say, You don’t get older you just get better! untry on Friday as I head over to the Isle of Wight for the steam railways Victorian Weekend. I’m booked to perform 3 Music Hall shows daily and this will be where I launch my new album “The Good Old Days”. I shall be on stage at 11.45am 1.30pm and 3.10pm and this year I will be performing some new Music Hall numbers which I’ve not sung there before including “Burlington Bertie from Bow”, “She was one of the Early Birds” and “Oh! Oh! Antonio”. I also have a new arrangement of “Don’t Dilly Dally on the Way” which I shall be performing at the end of one of my sets. All the above mentioned numbers have been included in my new album so I hope you can make it along to see me in the Isle of Wight. This year I shall be working with my friend Kim who will be doing sound for me and then on the 4th August we will be heading back home with a very special show booked in that evening to mark the WW1 centenary. I shall be performing at Quainton Village Hall as the village remembers it’s fallen with Lights Out. This is where every-one turns off their lights and places a candle in their windows to remember the dead. A rather lovely way to remember I think! Time for bed I think as I head off bright and early tomorrow. Keep Watching and thank-you for Following Toodle Pip!